Research indicates that oxidative stress, caused by mycotoxins, plays a role in mycotoxin-related illnesses. The antioxidant glutathione is important in the detoxification process, and exposure to mycotoxins can lead to a reduction in the formation of glutathione. There is also a genetic component that is important in glutathione production. There are two genes responsible for the production of Glutathione S-Transferases (GST): GSTT1 and GSTM1. Mutations in either of these can lead to a reduced ability to synthesize Glutathione and a reduced ability to protect against toxins, such as mycotoxins. Patients with defects in GST have an increased risk for a number of diseases. 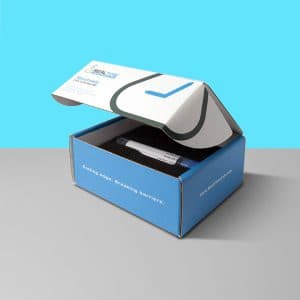 The RealTime Lab PCR test can determine if an individual is normal, heterozygous (1 normal and 1 mutated copy) or homozygous (2 mutated copies) for the M1 and T1 genes. Guilford, F., and J. Hope. “Deficient Gultathione in the Pathophysiology of Mycotoxin-Related Illness.” Toxins. 2014 Feb: 6(2): 608-623.